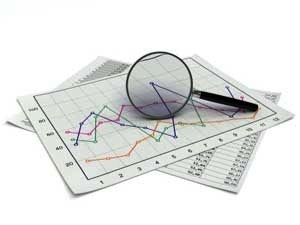 The Annual Statistical Report shows major trends and includes historical data charts. The Annual Eviction Report is submitted to the Board of Supervisors every year and reflects eviction notices filed with the department from March thru February. This includes the pdf versions of past years as well as the current year. Please note that information about eviction notices for specific properties is not included in the Annual Eviction Report. Information about specific notices can be obtained by visiting our office at 25 Van Ness Ave., #320, San Francisco between 8:00 AM and 5:00 PM, Monday thru Friday (except holidays), or by calling our counseling line at 415-252-4602 during weekday counseling hours (9:00 AM - noon and 1:00-4:00 PM). The Annual Report on Buyout Agreements is submitted to the Board of Supervisors every year and reflects the number of filings under the Buyout Ordinance (Ordinance Section 37.9E) for each calendar year. The first annual report covers the period from March 7, 2015, when the Buyout Ordinance went into effect, through December 31, 2015. Information about specific Buyout Agreements can be obtained by visiting our office at 25 Van Ness Ave., #320, San Francisco, between 8:00 AM and 5:00 PM, Monday thru Friday (except holidays), or by calling our counseling line at 415-252-4602 during weekday counseling hours (9:00 AM - noon and 1:00 - 4:00 PM).